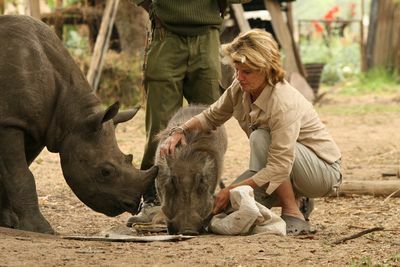 'There's A Rhino In My House' invites you to meet Safari park owners Judy and John Travers who happen to share their home with a baby rhino, warthog and hyena. 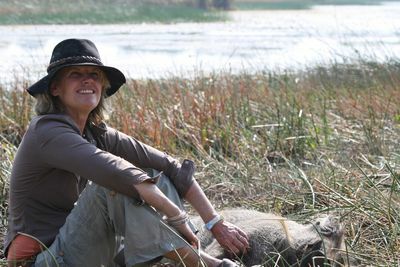 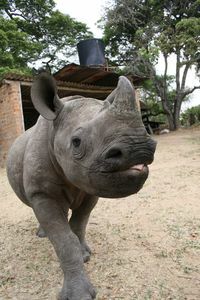 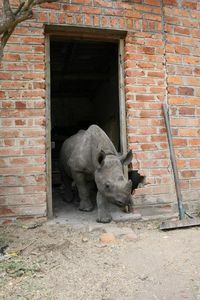 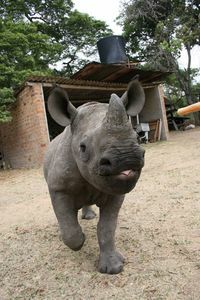 Previously, the couple have devoted their lives to protecting black rhino in Eastern Zimbabwe - but when tragic circumstances left these three animals orphaned, they decided to take on mammoth task of raising them. 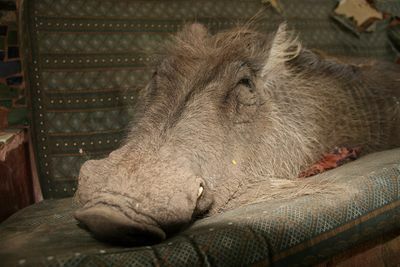 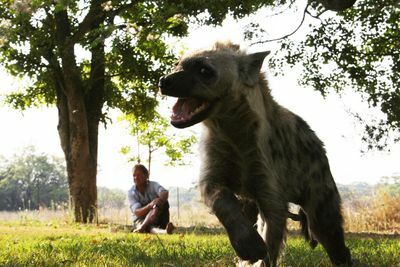 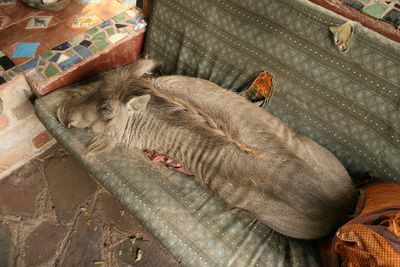 With a hyena tearing the furniture apart, a warthog in the bed and a half ton of rhino to bottle feed, life for the Travers will not be the same again. 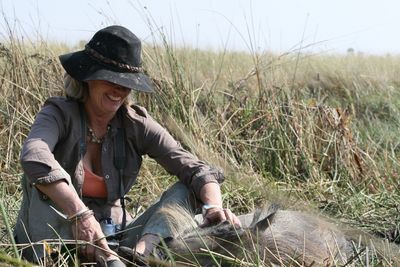 This is the surprising, heart-warming story about an unconventional herd and one woman's determination to save it.